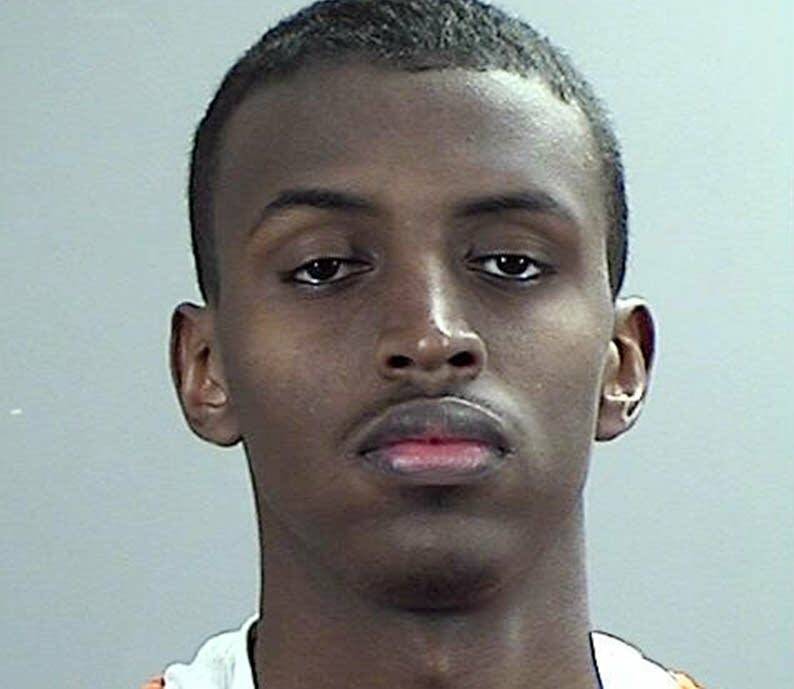 Abdullahi Yusuf, one of the Twin Cities men convicted last year of attempting to join the ISIS terror group, was released to his family Thursday. Yusuf, 21, has spent almost a year in a federal halfway house where he received counseling, mentoring and an award for being a role model to other inmates. He's believed to be the first man to undergo counseling in a de-radicalization program after quickly agreeing to cooperate with the government. U.S. District Judge Michael Davis granted Yusuf's release in a hearing on Thursday that laid the conditions of his release. They include prohibition from accessing social media platforms, staying away from consuming content that has extremist views, no contact with journalists, no leaving the house except for religious observance, work or school. "Are you willing to follow these conditions?" Davis asked Yusuf. "Yes, your honor," Yusuf replied. "Are you ready to go home?" Davis asked. "Yes, your honor," said Yusuf. On May 28, 2014, soon after turning 18, Yusuf tried to board a plane from Minneapolis-St. Paul International Airport to Istanbul, Turkey. But the FBI, tipped off by a passport official's suspicions, were waiting for him. Six months later, he was charged with conspiring to provide material support to a foreign terror group. Davis sentenced Yusuf in November 2016 to time served and 20 years of supervised release. "I hope I'm not wrong," Davis said after the sentencing, looking Yusuf in the eyes. "I won't let you down, your honor," Yusuf replied. Yusuf's case was quite different from those of his friends, some who are serving decades in prison. As soon as he was charged in November 2014, Yusuf quickly pled guilty and was sent to a halfway house where he received counseling and mentorship from a Somali-American educator. But he did not last long there. In April of last year, Davis sent him to federal prison after a utility knife was found under his bed, which violated halfway house rules. He stayed in prison up until his sentencing last November, when the judge again released him to a halfway house. Yusuf's participation in the experiment of whether American terror suspects could be rehabilitated was hailed as the first of its kind in the United States. Yusuf had previously told Davis that he played a "minor role" in the conspiracy, which resulted in the arrest of eight other Twin Cities men. He helped build the government's cases and served as one of its star witnesses during the trial in May last year by testifying against his friends. Some members in the Somali community had criticized Yusuf's decision to help the government, accusing him of being a "snitch." One prominent imam went as far as saying that Yusuf was creating "division within the community" by cooperating with the government and questioned whether the teen was doing the right thing. In an apparent move to remind Yusuf of the difficulties he would face when he returns to his family, Davis told Yusuf: "You're going to be ostracized by your own community, at least a certain part of it." Yusuf's family filled the courtroom chambers. He plans to live at his parents' home in Burnsville. His father, Sadiik, said they are ready to support his son, who'd "made a mistake when he was young" but is now reformed. "We're just very glad to meet again our son," Sadiik said, "and we will be ready to help him."